I got it into my head that I wanted to hike the 9 Peak Challenge. This is a link-up of 9 summits in the San Bernardino Mountains, one of them being San Gorgonio, the highest peak in southern California. 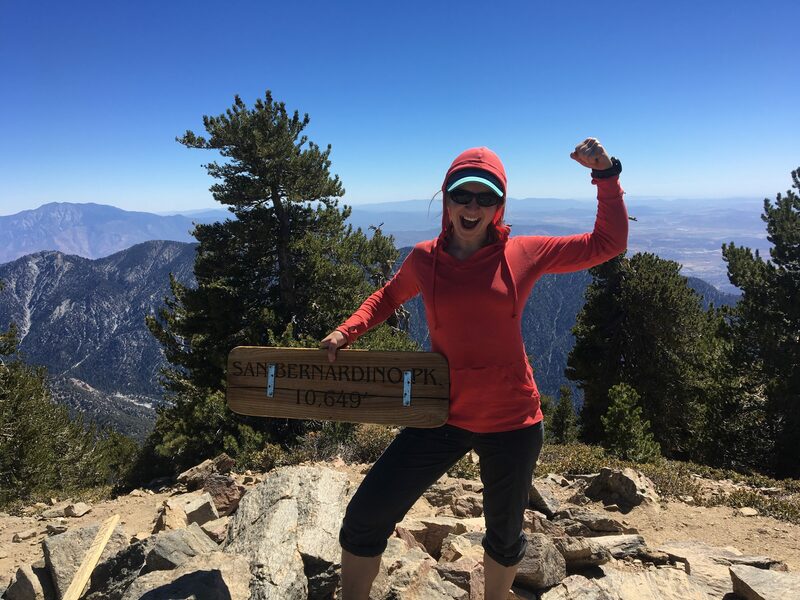 Hiking to the peaks on either end, San Gorgonio and San Bernardino Peak, is on trail, but to tag the summits of the peaks in between would involve off-trail travel. I found a blog post about someone completing the 9-peak challenge in under 24 hours, and I was intrigued. I attempted to convince a friend to do it with me and help me run a shuttle between trailheads, but no one was interested. On my own, then. I did a little more research and hatched a plan: I would park at the Momyer Trailhead early in the morning and ride my bike to the Vivian Creek Trailhead so I could hike 9 miles up the highest peak first. Then I would tag all the summits in order. After San Bernardino Peak I would have to backtrack 1.4 miles past the last two peaks to the Momyer junction. Then I would hike down 7.2 miles of unmaintained trail back to my car. This way I could shuttle myself. In total this adventure would be 26.5 miles. I would need to start early. I had to wonder: is a fast-paced, physical-limit-pushing challenge like this the best way to experience a landscape? Perhaps a more leisurely, meditative, and observant trip would allow me to become more familiar with the intricacies of this desert. And yet, challenges like these are increasingly popular with the outdoor recreation community. Maybe both types of wilderness experiences can coexist. I had a whole day of hiking ahead of me to contemplate this issue.